This painting was created from a black and white photo taken in the 1940's in an orchard in Orange County, California. 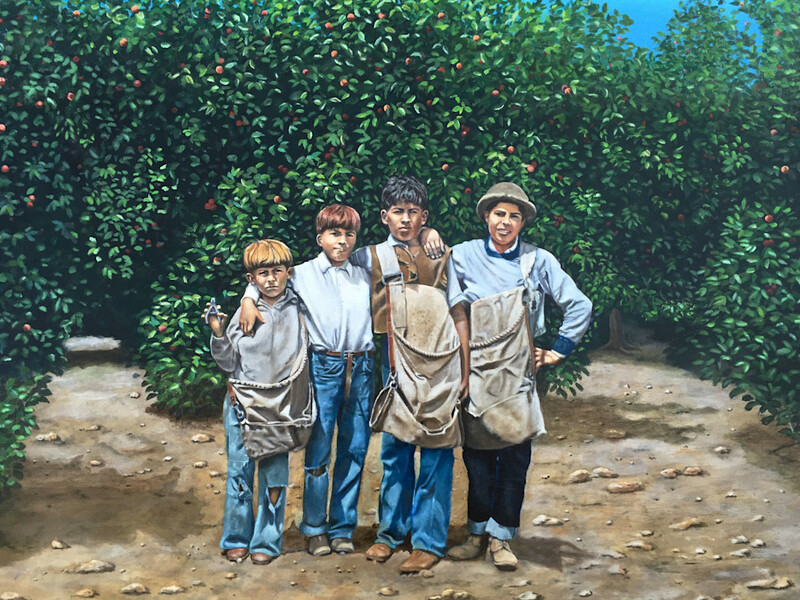 The boys in this painting are brothers with a cousin who worked to contribute to their families. Original size 24x30.